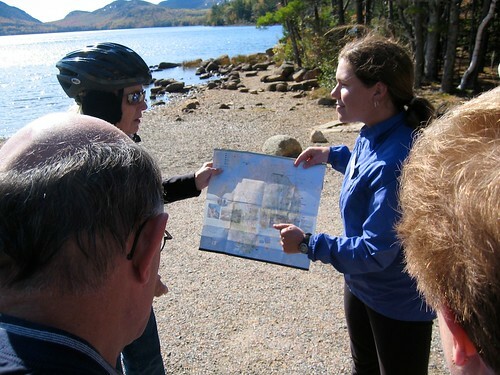 Spring through autumn, cruise lines chart courses along the New England coast, sometimes venturing as far as Montreal through the Saint Lawrence Seaway. These are spectacular voyages for culture, natural beauty and in autumn, a spectacular palette of colors as leaves change from emerald green to hues of ruby, amber and gold. 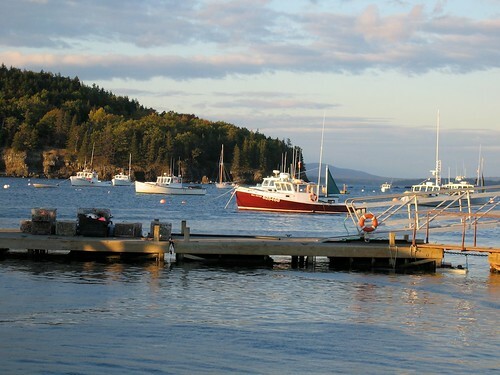 Ranging from one to two weeks, Canada and New England cruises are designed to ensure that there is plenty of time ashore to sample succulent Maine lobster, scavenge for antiques and amble through quaint towns and parks. Ships typically drop anchor or dock in Boston, Newport and/or Bar Harbor, Maine as well as Halifax, Nova Scotia, Quebec City and Montreal, Quebec. In Boston, stop for a lobster salad sandwich and a bowl of clam chowder, true New England delicacies. Don’t miss a visit to the Breakers in Newport, where the Vanderbilt family built their 70-room summer “cottage” at the end of the 19th century. Skip the port town of Bar Harbor only if you must, but don’t miss the view from Cadillac Mountain and the beauty of Acadia National Park with its rugged coastal beauty. Golfers can tee off at Kebo Valley Golf Club, the country’s eighth oldest golf course, which wraps itself between the mountains and the sea. In Halifax, absorb the strong Scotch heritage, while feeling as if you’ve arrived in France in the French-speaking Canadian province, Quebec. Highlighting many sailings are scenic transits along the St. Lawrence River and Saguenay Fjord, which offers some of the world’s most stunning and marine-rich scenery. A Canada New England cruise also combines the Colonial America’s historic attractions with visits to grand estates of the wealthy perched on craggy ocean cliffs. Be sure to pack a camera to snap the rugged beauty of the Northeast Coast. Halifax, The World’s Friendliest People? My feet had been planted only a few minutes on Canadian soil, and yet it appeared what Becky, the Scottish hairdresser working on the ship, told me just might be true — that the people in Halifax were the nicest people she had ever met in a port. They are, in fact, much more than nice. Step off the ship, and people politely offer you directions, maps, and literature about the area — without trying to sell you anything. I deliberated over whether to join the coastal bus tour to Peggy’s Cove, where a lonely lighthouse standing atop a granite outcrop is reputed to be Canada’s most photographed attraction, or whether to stay in Halifax for the morning and join the afternoon “History and Ale” tour. I opted for the latter, and with the morning ahead of us, set out on a walking tour of Halifax. The friendly folks at the terminal pointed me in the right direction, provided me with maps, and sent me trotting along. I found it easy to make my way to the compact city center by following a wide sidewalk along the harbor. From the city center, I pointed myself uphill for the short march to the Halifax Citadel National Park, which served as the British bastion of imperial control in North America during the 19th century. From my vantage point, I looked out over all of Halifax and gained my bearing, Keith’s Brewery, down near the waterfront. 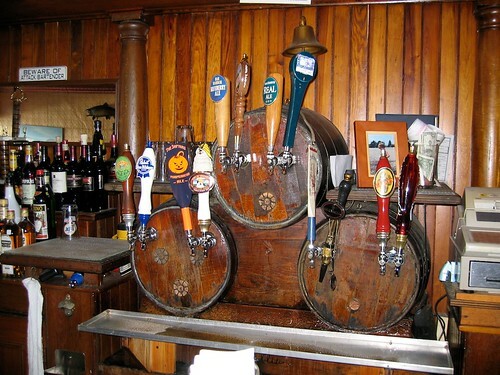 Originally established in 1820, Keith’s Brewery claims to be North America’s oldest continually operated brewery. Its specialty: India Pale Ale. Halifax was a garrison town, with Royal Navy ships calling frequently before continuing to distant outposts. Traditionally brewed beers spoiled on the long ocean voyage to British troops stationed in India, but the specially brewed India Pale Ale remained fresh for more than a month, and no doubt on its arrival, Keith’s IPA quenched the thirst of many a British soldier. 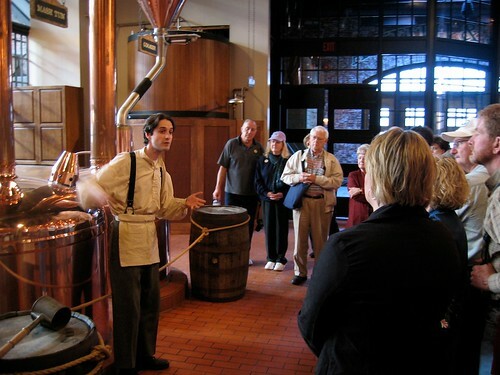 The History and Ale Tour begins with an hourlong guided bus tour past significant sites in Halifax and concludes with a brewery tour that features interpreters in mid-19th-century costumes. My group learned, through narration and through video, what Halifax was like a century and a half ago — and how the beer was (and still is) brewed. The brewery tour ended at the Stag’s Head Tavern (on-site), where we sampled Keith’s hearty beers (lemonade was also offered) while interpreters entertained us with 19th-century stories and song. 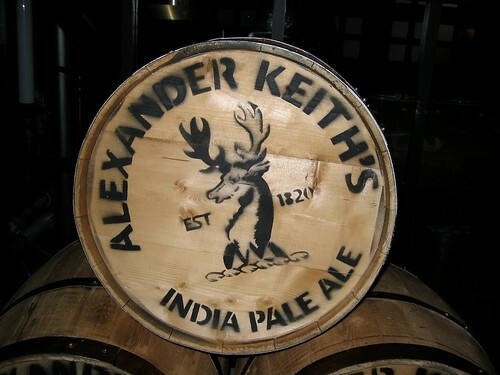 You can do a virtual brewery tour by clicking on www.keiths.ca/ but you’ll miss the best part: the beer. St. John, New Brunswick, is home to Reversing Falls, where twice daily the world’s most dramatic tides force the St. John River to reverse its flow. It works like this: At a narrow, rocky gorge, the St. John River meets up with the Bay of Fundy. During the two high tides, the Bay of Fundy forces the river back upstream in a rushing rapid. The “Ride the Rapids” excursion takes daring souls on jet boat rides through Reversing Falls. It looked fun, but I had no time for the jet boat ride. I was on my way to get out on the water on kayaks. Unlike those on the jet boat, my time on the water introduced me to no whitewater whatsoever, but instead to the calm, sheltered waters of Meehan Cove. I had some experience in kayaks, but the guides gave such thorough instructions on technique and safety that even those who had no experience at all told me they felt comfortable participating in this tour. Besides, the kayaks were sturdy and practically incapable of tipping over. Along with the 36 others who joined this excursion, I paddled shoreside and into hidden coves for about 90 minutes in two-person kayaks, taking in the blazing fall colors, and a variety of wildlife — eagles, hawks, osprey, and ducks. The shore excursion concluded with one of the quintessential experiences of a Canada/New England cruise: a lobster lunch, much appreciated after a morning of mild exertion. The charming waterfront of Bar Harbor, Maine, was exceptionally attractive on the crystal clear October day when our ship arrived. As the ship neared the shore, those on the pier shuffled their feet and rubbed their hands to ward off the morning chill. Cups of coffee issued steam that dissipated in the cool October air. Upon making landfall, I boarded a bus for the 15-minute transit to Acadia National Park. Along the way, the guide told our group that there were 45 miles of carriage roads through the park, and we’d ride on some of those today. After being quickly fitted on bikes waiting for us in the parking lot, we hopped on and began pedaling into the forest along a narrow, dirt trail. Our guide had warned us that we would have a steep ascent for the first few minutes of the ride, and one or two from our group of 26 did have to dismount and push their bikes up the last 20 yards or so of the first hill. From there on, though, wide carriage roads took us alongside lakes and through forests, past stunning scenery and trees bright with color. We pedaled for about 90 minutes, stopping frequently to admire the natural beauty. Lunch was not included in this tour, so our guide recommended we go to the Thirsty Whale, where we could enjoy lobster (once again), chowder, and if we were lucky, the Down East accents of fishermen who frequent the popular dining spot for lunch. We got a taste of it all and spent the rest of our day exploring Bar Harbor and its many, many shops. Biking Along The Charles RiverMy goal in Boston was to get an overview of the city and to travel the Freedom Trail, the 2.5-mile trail indicated by red brick or a red painted line that travels through Beacon Hill, downtown Boston, the North End, and Charlestown. If you’re not familiar with it, the Freedom Trail passes the site of the Boston Tea Party and travels along the route of Paul Revere’s famous ride, plus many other sites in the city known as “The Cradle of American Independence.” What better way to cover a lot of ground quickly than on a bike? A brief bus ride brought our group to Boston Common, America’s oldest public park. Waiting for us there, our Boston Bike Tours’ guide told us that we would be pedaling six easy miles on city cruisers and mountain bikes. Our group quickly warmed as we followed our guide through neighborhoods and along the Charles River on part of a dedicated 17-mile bike path. We pedaled along streets with relatively little traffic, and our guide frequently stopped to narrate about the historical or cultural significance of what we were seeing. We were happy to be outside and invigorated by the easy exercise. We crossed the river to visit the Massachusetts Institute of Technology campus before crossing back to visit the historical neighborhood of Beacon Hill, with its cobblestoned streets and antique shops. We pedaled along parts of the Freedom Trail before concluding at Boston Common, where the Freedom Trail begins. We picked up a map at the Greater Boston Convention and Visitor Center and followed the trail to Faneuil Hall and Quincy Market, where we spent the afternoon and had lunch before returning to the ship. Newport, Rhode Island, showed a bustling waterfront on the morning the ship arrived. I disembarked to transit by bus to Newport’s famed mansions. During the 10-minute ride, our group gaped and uttered oohs and aahs as we passed the summer homes of America’s Gilded Age elite. More awe was in store. We were on our way to visit the homes of the elite’s elite: the Vanderbilts and their two elaborate summer cottages, Marble House and The Breakers. William K. Vanderbilt built Marble House, one of America’s most opulent estates, in 1892. To learn more about the estate, we donned digital audio units to hear such facts as the estate boasts more than half-a-million square feet of marble — along with priceless art. Just a few blocks away is The Breakers, designed by architect Richard Morris Hunt for Cornelius Vanderbilt II. One of the grandest Newport cottages, The Breakers is an Italian Renaissance palace and has the largest room in any Newport mansion, the Grand Hall. With its 50-foot ceilings, the Grand Hall was originally constructed in France and reassembled here. I decided to skip the bus ride on the way back to the tender landing, walking, instead, the mile or so to the waterfront. Along the way, I stopped in for lunch at Crowley’s Casino Pub, located inside Newport’s International Tennis Hall of Fame. I took a seat by the immaculately groomed lawn tennis court and ordered bangers and mash and a glass of ale to toast an end to our fall foliage cruise. Afterward, I stepped outside to a chill that caused me to cinch up my jacket. A gust of wind sent red, orange, and yellow leaves spiraling from the treetops. Back on board the ship, I looked out at the Newport waterfront. Fall was in full color, presenting an annual show — one not to be missed. Travel agents wanting some truly excellent information on ports of call around the world should visit Ralph’s site at www.avidcruiser.com. Then, book your shore excursions with ShoreTrips!